Ear ache home remedies with alternative methods is not all that difficult. A few things to change the lifestyle of your home and that of your child can make all the difference in reducing this child's number of infections. Both the bacteria and viruses can come from upper respiratory infections but sometimes the ear infection (or Otitis Media) can occur all by itself. It is usually accompanied by a fever and throbbing pain. Chronic allergies can also inflame the euchasian tube which connects the ear to the throat. Sensitivity to allergies is increased by exposure to mold, smoke and allergens. Antibiotics are often used if the infection is severe and if your child is in extreme pain with a high fever (over 101F) DO NOT hesitate to get to a doctor. In this case the risk is perforation of the ear drum which spreads the infection to the inner ear making it much more difficult to treat. So what is the answer? Well, control of allergens (stop smoking..it affects your child!) and herbal therapy together may be more safe, ear ache home remedies. If you are considering ear ache home remedies, the dosages below are for children under the age of 12. For adults, multiply the dosages by 4. Discuss all options with a health care provider BEFORE giving your child anything! Echinacea and goldenseal Mixed formula. Take as directed on label, but for no longer than 2 weeks. Stop drainage, accelerates recovery. Garlic Oil. Several drops into ear canal, 1-2x/day. Antibacterial. Green tea Catechin extract. 240mg/day or 1/2 cup tea/day. Helps children with viral infections, allergies or asthma. Mullein Oil. Several drops in ear canal 1x/day. Sooths ear canal lining during infections. 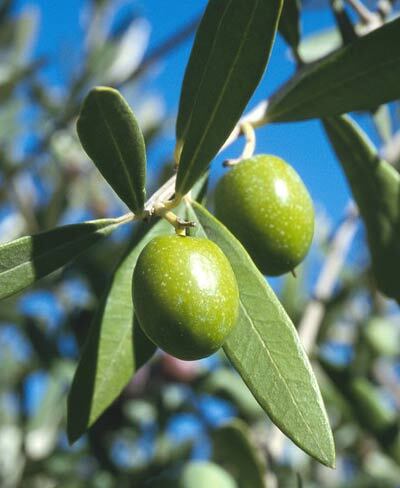 Olive leaf Extract. Take as directed on label. Helps body fight infection. Pinellia Ear drops. Use under professional supervision. Relieves "oozing" infection in 1-2 days. Scutellaria Extract. 1/4 tsp in 1/4 c.water or juice, 1x/day. Inhibits Strep growth. Prevents infection of euchasian tubes. St John's Wort Oil. Several drops in ear canal 1x/day. Relieves inflammation, kills viruses. One of the problems with treating ear infections with antibiotics is that the most commonly prescribed antibiotic, amoxicillin, can sometimes be no more effective than placebo if the cause of infection is not known. Addtionally, many strains of bacteria (if it is a bacterial infection) are now resistant to amoxicillin. An herbal remedy for ear infection might help when your child is in pain. 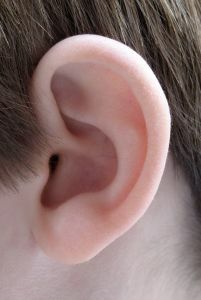 The middle ear consists of three small bones that transmit sound to the nerve that then goes to the brain. Both bacteria and viruses can infect the inner ear causing acute pain. What to do? Well below are listed some common sense changes you can make within the home, in addition to herbs you can use on a regular basis to prevent recurrent otitis media. Echinacea used by itself can prevent infections. Use liquid extract, 1/4 tsp by mouth 3x per day for up to two weeks if people in the house are sick. Children who chew Xylitol gum twice a day have 40% less ear infections than those who don't. Xylitol is a sweetener that prevents bacterial growth. Steam inhalation of chamomile, elderbery flowers and lemon balm soothes irritation and relieves pain. Use room humidifiers. Dry air induces nasal swelling, causing increased secretions and inability to clear fluid. The lowest frequency of ear infections are in children from smoke free homes and those who were breast fed. Food allergies aggravate middle ear infections. Controlling food allergies eases symptoms. Many times children with chronic ear infections are found to have other factors influencing the problem. The most common cause of this is (believe it or not)..second hand smoke. Children have delicate inner ear structures and delicate lungs. They are still growing. Second hand smoke will blunt this. We all have special cells in our bronchial tubes that help "push" out things that irritate or can damage lung tissue. Cigarette smoke (or any smoke) will damage those cells and as a result, allergens and bacteria will hang around. The next thing you know, the child has a upper respiratory infection, which leads to an ear infection. I mentioned breast feeding. Women who breast feed pass antibodies through breast milk to their child. This means better protection for the child and is one of the best ear ache home remedies around. 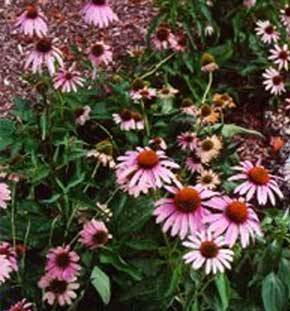 Echinacea should NOT be taken for longer than 2 weeks. Doing so 'stresses' the immune system. There are certain white blood cells that will kill a virus, but they increase in quantity in response to a virus. Echinacea stimulates production of these cells. Although you may notice a sensitivity to a food item when it is in your child's diet, true food allergies to peanuts, milk and other items should be evaluated by a pediatric allergist. They can screen your child for a variety of known food allergens. Learn how to make a site like I did in 2 weeks!